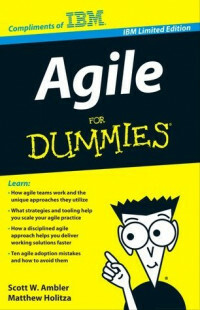 Welcome to Agile For Dummies, IBM Limited Edition. You’ve probably been hearing about agile for a long time, which isn’t surprising. If you’re not using agile methods already though, or if you’ve only been exposed to agile on small projects here and there, you may wonder how to get started with it. Can agile ever work in your environment? Relax. This book is here to help.